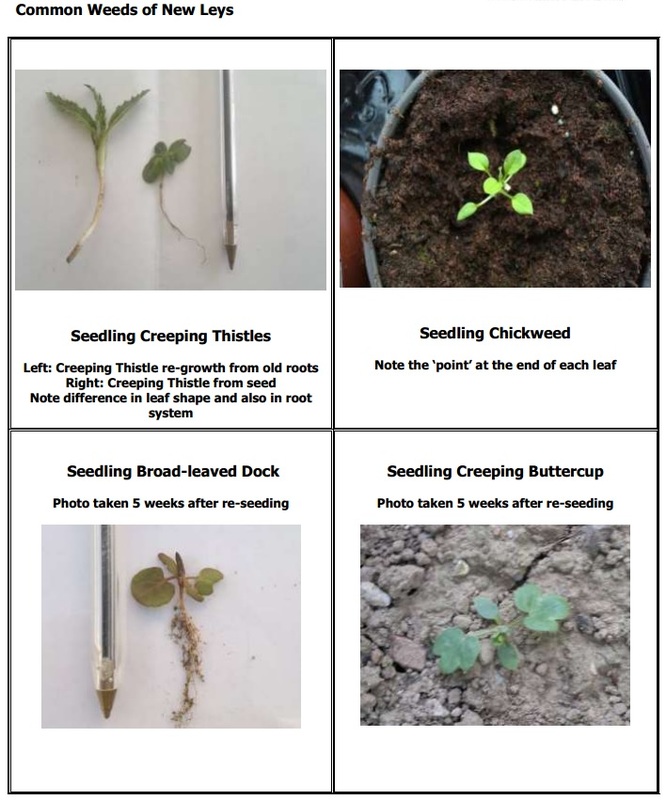 Teagasc’s Crops Specialist, Tim O’Donovan has compiled the key facts for farmers in relation to applying herbicide to new reseeds. 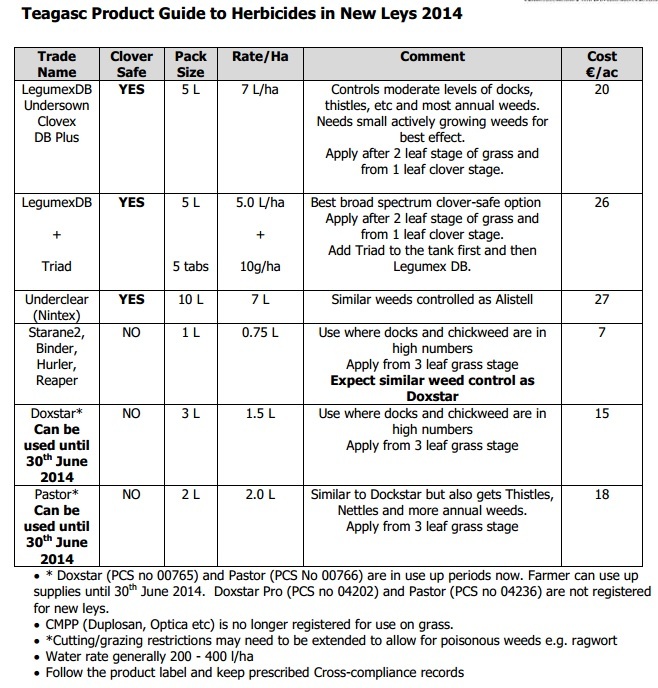 He outlines that applying a herbicide to a new grass ley is the most cost effective spray you will use on that field. 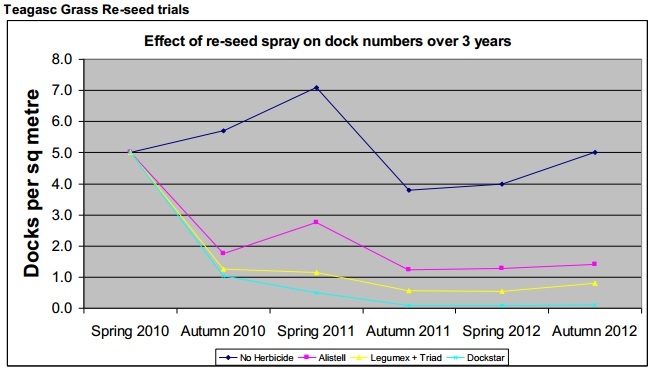 Control of docks, thistles and chickweed etc is much easier when these weeds are seedlings. Product choice is decided by the presence or absence of clover in the new ley. Do I need to spray my new ‘clean’ re-seed? Yes (in most cases) as there is up to 100,000 dock seeds per acre ready to germinate in fields. What weeds do I need to worry about? Annual weeds such as Fumitory, Fat Hen, and Deadnettle only live for 1 year. These weeds should not affect the establishment of the new sward (unless present in high numbers – if so spray them). They are normally removed by grazing, cutting or leaving them die naturally over winter. 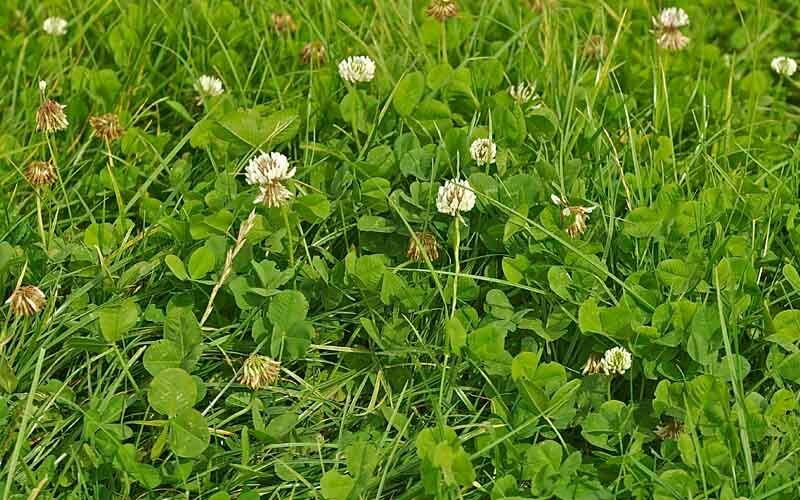 Perennial Weeds such as Docks, Dandelions, Creeping Buttercup, and Creeping Thistle etc can be tolerated (at low numbers) in an intensive grazing situation, however it is still better to spray them now rather then in a few years time. 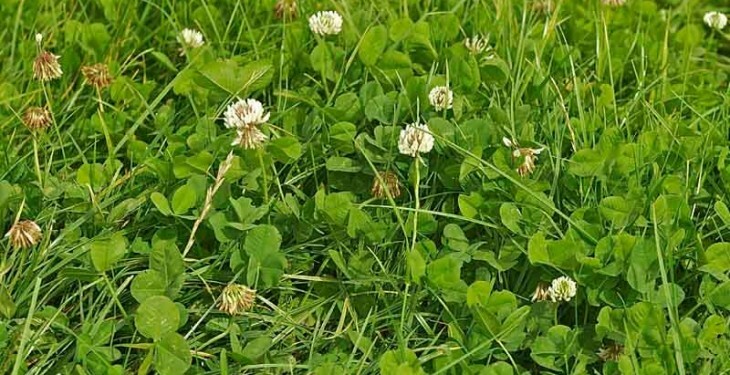 In silage/hay fields you should always spray for these perennial weeds after re-seeding as they will build up their root reserves and take over the grass. Have an even, vigorously growing sward. Avoid spraying in very dry or cold conditions (talk to your advisor/merchant if this is the case). Keep water rates high 220-350 l/ha (20-30 gallons per acre). Remember to keep the prescribed cross-compliance records and follow the product label.